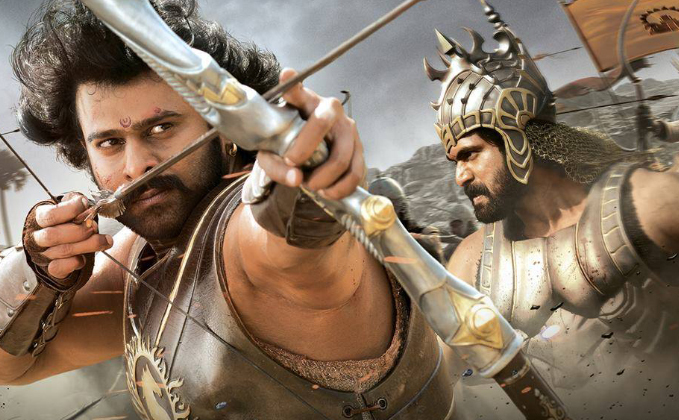 Baahubali 2 has been on a roll since its release. The film managed to collect 41 crores nett (Hindi) on first day itself and 121 crores from all other versions. On the second day too, the film kept up its pace collecting slightly more than day one. It collected approximately 42 crores* for its Hindi version, the film now stands with a collection of almost 83 crores in the Hindi version. The film has already become the fifth highest grosser of the year so far, beating films like Ok Jaanu, Phillauri, Commando 2‘s lifetime business. It’s amazing how the film has shown a tremendous response in theaters across India. With most shows going housefull, this is the biggest feat, a film has scored in terms of a non-festive period. The film has collected over 60 crores from Tamil, Telugu and Malayalam version, thus taking its 2nd Day total to 102 crores. The film has again hit the century on Day 2 and now stands with a total India total to 224 crores. This is also the fastest run for a film to make it to the 200 crores mark from its all version combined business in just two days. Massive! Looks like only the weekend figures, that is three day business will be 325 crores and with Monday again being a holiday, the four day business will be mind blowing. Last year, Aamir Khan’s Dangal pulled off an amazing business and set massive records at the box office. Looks like Baahubali 2 is set to break almost all of them. Trade buzz is that the film is expected to collect a huge sum on Sunday and there’s a chance that it may even touch 50 crores in just Hindi which will be the highest ever collection on a single day. Till now, Shah Rukh Khan’s Happy Newy Year holds the record with a collection of over 44 cores which was huge considering the Diwali spirit. If Baahubali 2 pulls this off, it will be an even commendable acheivement considering its release during a non-festive period. The post Baahubali 2 Makes Over 220 Crores In 2 Days – Tamil, Telugu, Hindi, Malayalam Version appeared first on Koimoi. 2.0 Box Office Collections Worldwide: 500 Crores In 7 Days – It’s UNSTOPPABLE!